When we buy gold jewellery either for ourselves or for a loved one or an acquaintance, we go to great lengths just to make sure that it will be appreciated by ourselves and others. This is true especially for jewellery that contains precious metals and particularly gold. Gold has been treasured by humans for thousands of years due to its immortality as it never tarnishes like most other metals and also due to its beauty and rarity. 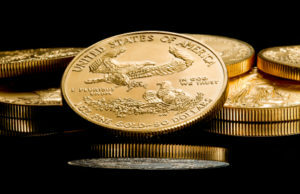 Gold is indeed among the rarest of metals on planet Earth which is why for centuries; gold played the role of money until ‘printed money’ took centre stage at the beginning of the 20th century. When an individual purchases gold jewellery, it is unlike buying and selling gold bullion, when we buy a gram of bullion, it is cheaper than a piece of jewellery containing a gram of gold due to a variety of factors. When we buy jewellery containing gold we do not only pay for the content of gold in the jewellery piece, but we also pay for the overheads that the jeweller is subjected to. These overheads include costs incurred by operations of the jeweller who would have to hire sales staff, goldsmiths, pay for insurance, pay for the premise and even security. These costs must be accounted for in every piece of jewellery that is sold and it is due to this fact that when we buy jewellery, in most case scenarios, an additional 20 – 30 % is added on to the value of gold contained in that piece of jewellery. Although, this may seem like buying jewellery is a mistake, due to the substantial ‘additional money’ that we have to part with, the truth is it is not so as the value of gold has been appreciating in general for the last 1000 years due to a number of factors. These factors include (but not limited to) the fact that gold is getting scarcer, the increase in global population and rising incomes has created more demand for a rapidly shrinking commodity which compensates for the ‘extras’ that we pay when we purchase gold jewellery over time. For instance, the aftermath of the global financial meltdown resulted in prices of gold soaring like never before and owners of jewellery that contained gold found themselves in a profitable position as their jewellery were worth many times more than what they purchased it for. Those who held on to old jewellery containing gold for more than 10 years made a handsome profit during that time based on the fact they were paid 10 times more than what they paid for the jewellery pieces that they owned. Even in the current situation, if we were to look at the prices of gold currently and if we were take jewellery pieces that were purchased for 300.00 or 400.00 USD in the 80’s and 90’s is easily worth close to 1500.00 to 2,000 USD now. Even if inflation is taken into account, the fact remains that in the long run, gold jewellery still remains profitable, and let us not forget the value derived from wearing the gold jewellery piece for years. This entry was posted in Gold Supply, Investing in Gold and tagged buy gold bullion, buying gold, gold bullion, gold bullion investment, gold investment, gold jewellery, investment in gold, sell gold bullion. Bookmark the permalink.